Are Christian truths timeless or not? At various times, some within the Protestant community have compromised core Christian principles to "fit the times." Challenging these truths, many members of the evangelical community have stood up for the key doctrines that, in their view, remain essential to the Christian faith. 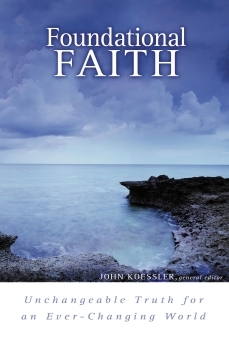 In Foundational Faith, John Koessler, a professor at Moody Bible Institute, joins several of his colleagues in introducing fundamental truths of the Christian faith to a generation increasingly unfamiliar with the original and true essence of Christianity.